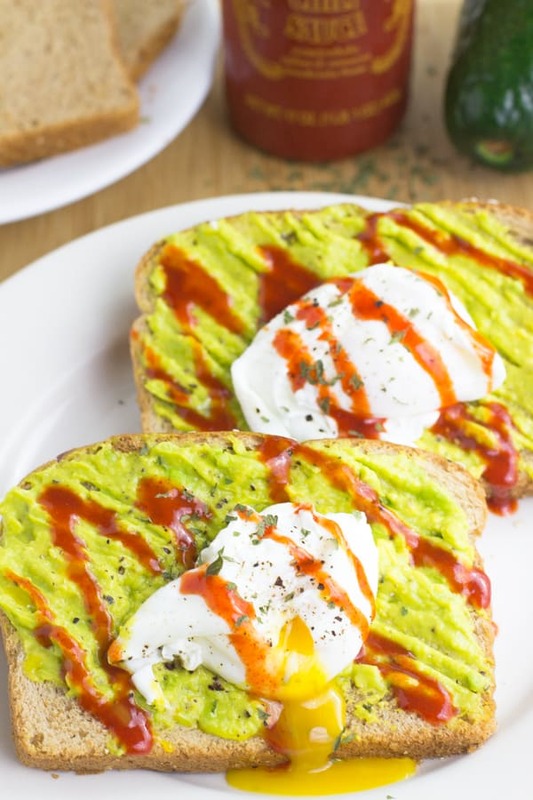 Sriracha Poached Eggs and Avocado Smash Toast is my official go to breakfast – packed with proteins and healthy fats and ready in 15 minutes! I think it’s fair to assume that mornings are pretty much hectic for all of us. My typical morning – wake up, realise I’ve woken up 30 minutes later than I’m supposed too, realise how comfortable my bed is…then peel myself out of bed. I don’t typically have to rush because I’ve gotten my routine down to a good 20-30 minutes…and then comes breakfast. The obstacle of “what do I eat today” “what’s quick enough” “what’s nourishing enough??”. Up until about a month ago I was stuck in my daily oats for breakfast which I do love, but I wanted to shake things up. 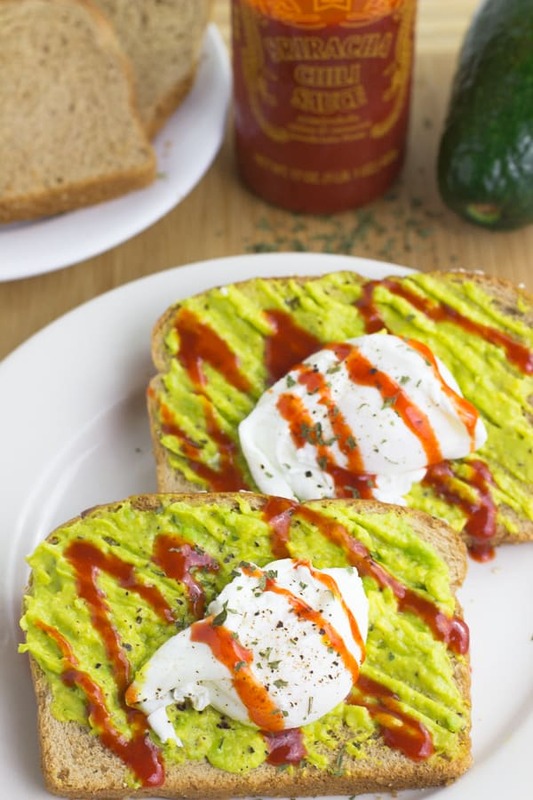 In comes Sriracha Poached Eggs and Avocado Smash Toast – protein packed, healthy fats packed, and crazy good amounts of flavour – all in 15 minutes. You’ll never have an excuse for not eating breakfast again! 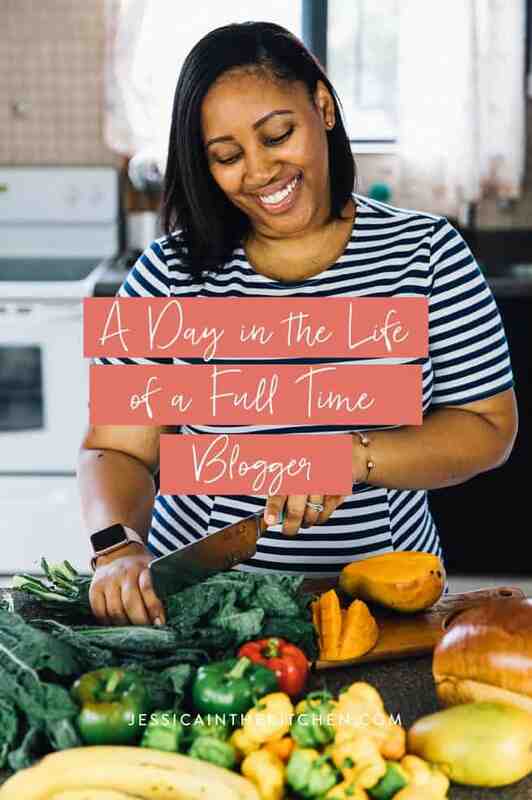 This recipe is so easy I almost wasn’t going share it since we food bloggers are conditioned that we should share only ground-breaking recipes, but the truth is, this is just what I eat for breakfast. Sometimes it’s a bit fancier with pancakes, sometimes a bit plainer with my oats, and sometimes I don’t include the avocado but whenever I have these poached eggs for breakfast I feel like I’m eating the breakfast of champions. Did I mention this makes a great Valentine’s Day breakfast? It’s already serving two, and is so easy to have alongside your sweets for the day! One is enough to keep me full but you can definitely have both servings if you want a large breakfast/don’t want to share any (I wouldn’t blame you). The avocado really does fill you up and the protein from the eggs will keep you going until your mid day snack so no need to worry about your tank running empty. One bite and their is delicious runny yolk everywhere – I love to use parts of toast to pick up the dripping egg yolk. Egg yolk is like THE BEST thing ever so you want to ensure you don’t let any of it get away! 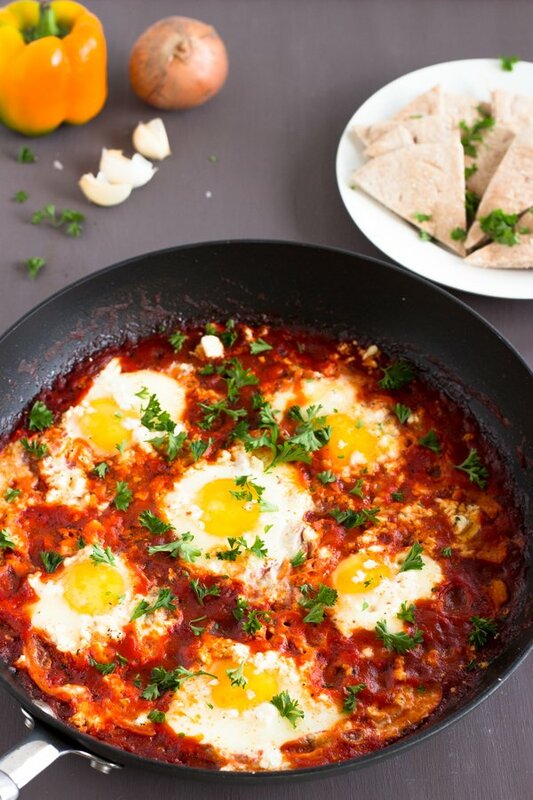 Out of everything, even more than the runny yolks, the Sriracha adds the best flavour for me – hence why this entire recipe is named after the Sriracha. It adds a delicious spice and flavour that wins me over overtime when added to anything so I’d highly recommend this part. I like to sprinkle the parsley on top for even more green and herb flavour and that’s that. Everything comes together so quickly that even on mornings I am running late I still get to have a full breakfast. By the way, re the actual poaching, don’t take it too seriously. I don’t think I’ve mastered the art at all, but I love how my eggs come out when they do come out great, and an ugly poached egg is still delicious! Some days I get it right, some days I don’t. Everyday it’s amazingly delicious and I wonder why I didn’t get more into poached eggs before. True story. 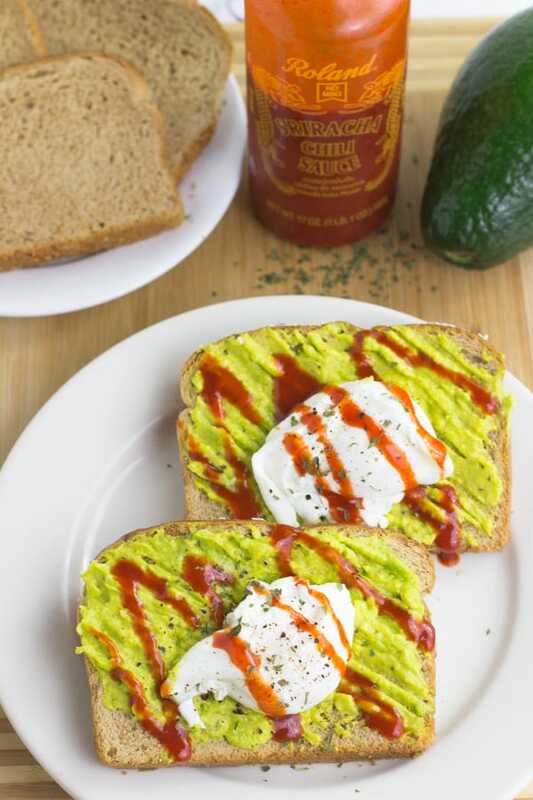 If you try these Sriracha Poached Eggs and Avocado Smash Toast please let me know in the comment section below, or tag me on instagram with the hashtag #jessicainthekitchen! For more exclusive recipes follow me on Instagram AND on Snapchat: jessinkitchen. Bring a pot with water to a low boil, a bit above a simmer. You don't want it to be a rolling boil. Add in vinegar and a pinch of salt. Crack the eggs into individual ramekins. Swirl the water in the pan to form a mini tidal wave. Add the egg as close as possible to the water from the ramekin. The egg whites should swirl around the egg. I like to do mine one at a time. Allow the egg to cook for about 3-4 minutes. While the egg is cooking, place the bread in the toaster. Place the slices of avocado in a bowl and smash with a fork. Add a pinch of salt, pepper and a squeeze of lime and mix together. Spread over toast. Remove eggs with a slotted and place on a paper towel to remove excess water. Transfer to the toast. Drizzle as much or as little Sriracha as you want over the eggs. Eat immediately and enjoy! I love this kind of breakfast. avocados and eggs are such a good combo. I love the addition of the sriracha, I hadn’t done that before. On occasion I make something similar but I mix the avocado w/ goat cheese. Next time I make it I’ll definitely give it a splash of sriracha. Avocado on toast is one of my favorites! I love the addition of sriracha on here. Gives it so much flavor! Well you just brought avocado toast to a whole notha level! This looks AMAZING! Must try! Can you believe that I have never made poached eggs? The colors in these photos are stunning – so vibrant and beautiful! I love them! And avocado smash toast was totally one of my go-tos during busy college days – can’t beat em! I so need to hop onboard this whole avocado toast thing. I think you convinced me because this is absolutely gorgeous! That poached egg literally looks perfect. You nailed these, girl! You totally knocked this out of the ball park! Seriously this is flavor amplified!! Yum! looks perfect and so delicious Jessica! 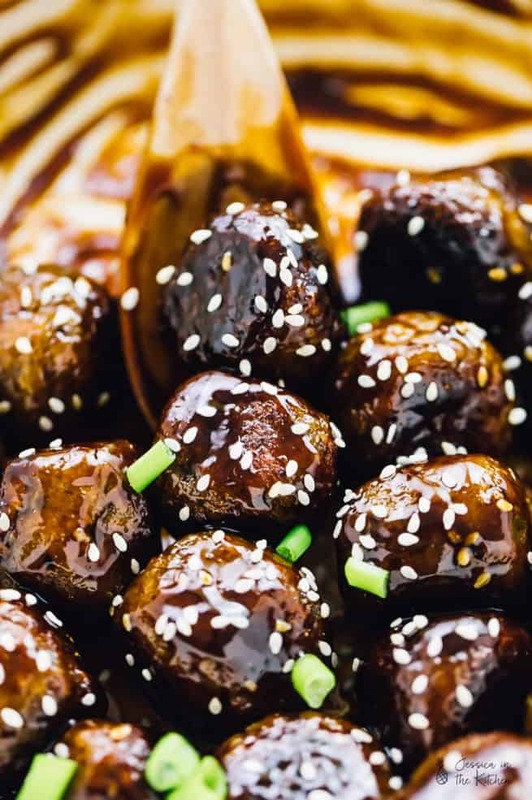 and I hear you, sometimes it does feel weird to share simple recipe but you know what people actually like simple recipes so keep them coming! 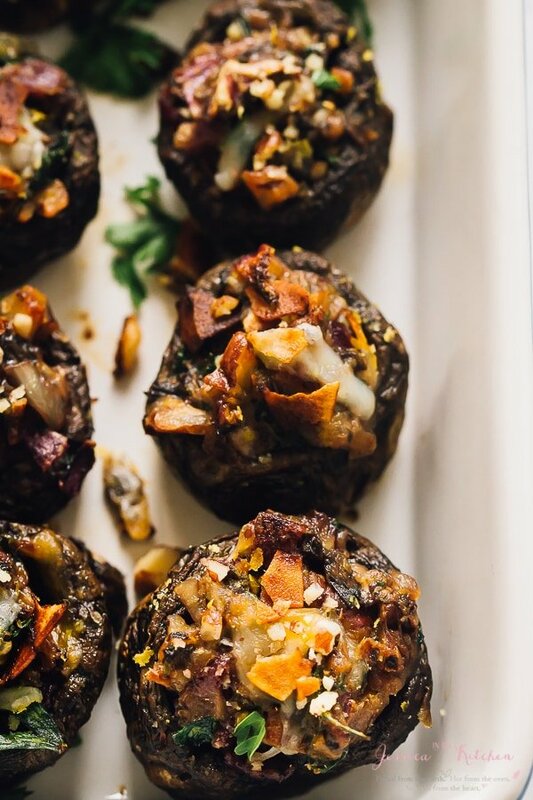 I bounce between sweet and savory breakfasts on a weekly basis…pretty sure when my next savory craving hits, this is what I’ll be making! Oh Jessica … yes, I can definitely relate to that peeling yourself out of bed with a very heavy heart syndrome! Aaaand to getting stuck in an oats for breakfast rut. Avocado toast is just my favourite, but I’ve never tried it with an egg and a bit of spice. You’ve definitely convinced me to give it a go, though! I definitely will be making this tomorrow morning for breakfast Jessica. 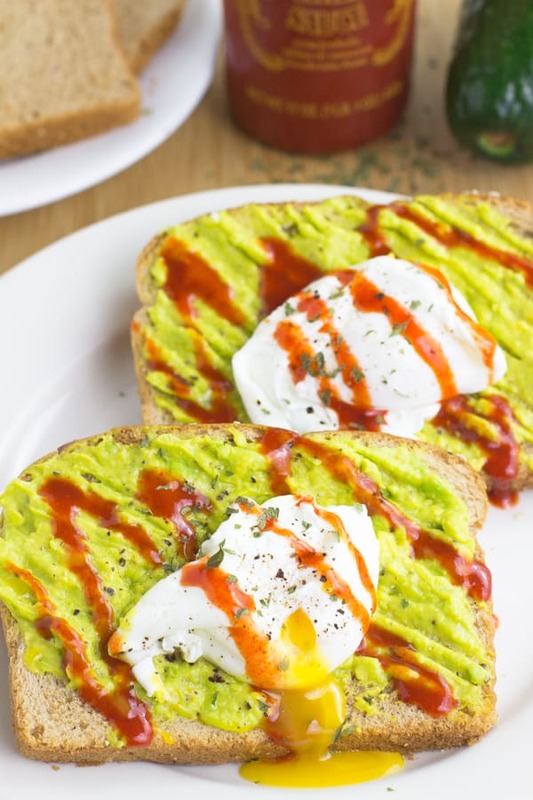 Love a classic poached egg – and topping them on a smashed avo toast sounds divine! You know i am relating to that morning routine because I stay up way later than i should. I love how easy these are and the packed protein in it! I love me some avocado toast! One of my favorite things to eat for breakfast! Looks fantastic with the egg and of course that sriracha! My husband would be all over this breakfast! All his favorite things on one plate!